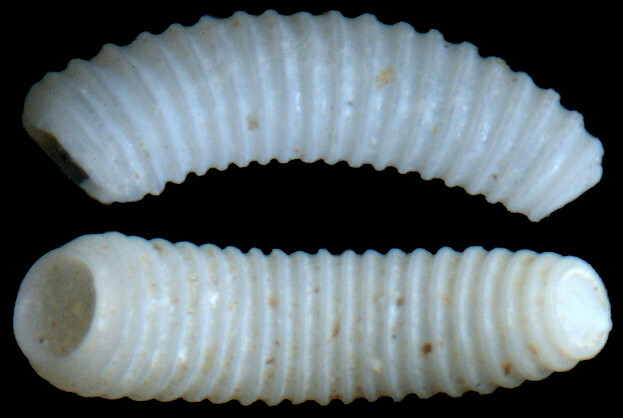 From rubble on beach west of Portobelo, Colón Province, (Caribbean) Panama (1.8 mm.). Digital images by David Kirsh. 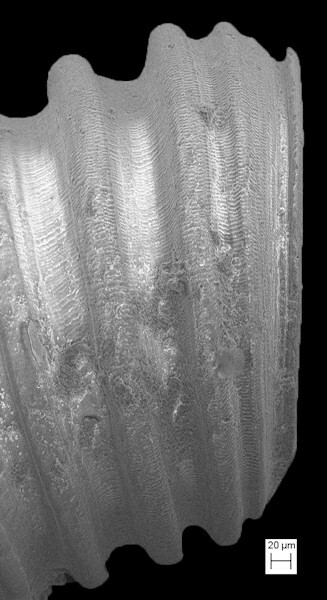 Lower Pinecrest beds, Upper Tamiami Formation, Sarasota County, Florida (2.18 mm.) with SEMs produced in collaboration with Dr. Ann Heatherington, Dept. of Geology, University of Florida, Gainesville, FL.